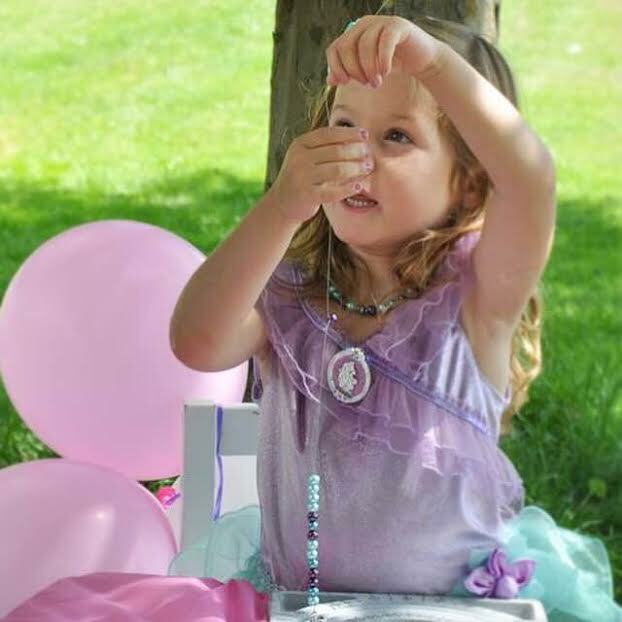 Delight your daughter with a sparkly mess-free birthday party activity where the children make their own loot bag saving you time and money. 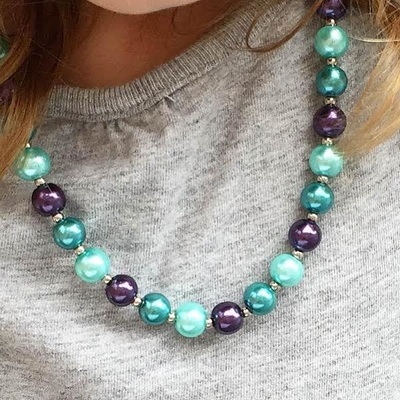 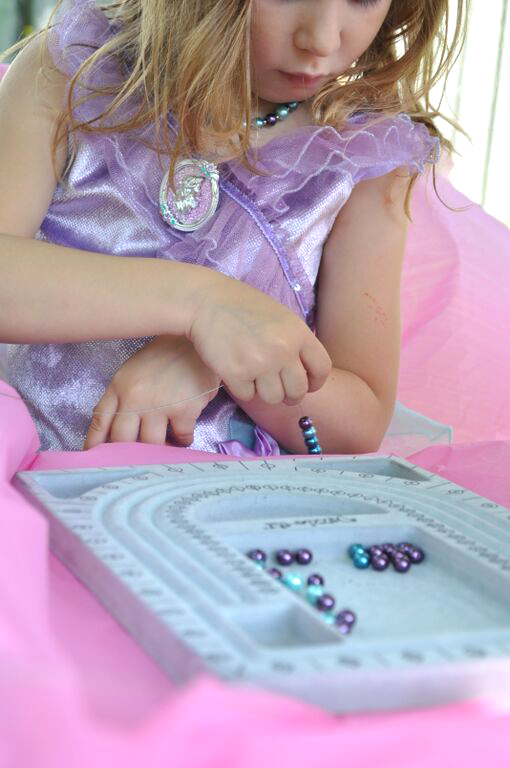 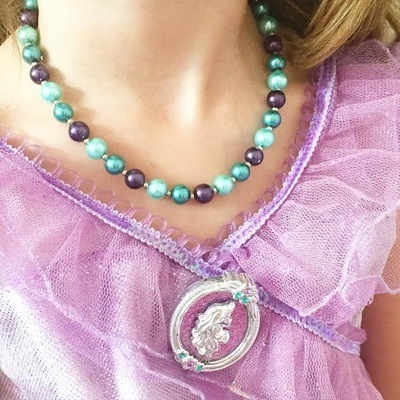 A perfect craft activity for a mermaid themed birthday party, in this package children are taught to make a purple and teal glass pearl necklace. 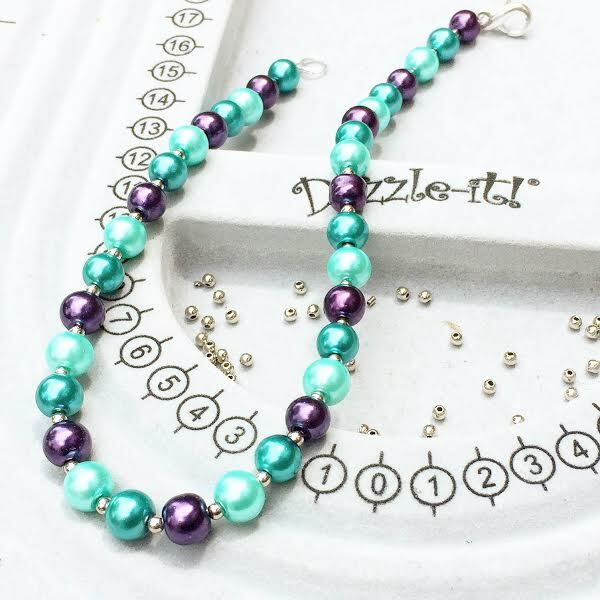 Using a special and very strong wire called tigertail and a gorgeous heart clasp, each participant is taught to design their own necklace. Using our professional bead trays, the participants lay out their design while the instructor teaches them how to use the elements of design to ensure that each girl makes a custom necklace that she loves and will enjoy wearing for many years to come. 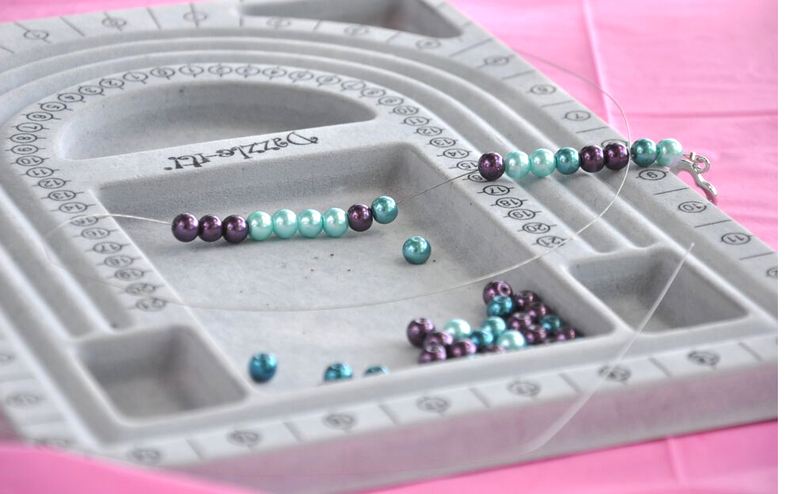 Once the beading is completed, we play a few games, have a fashion show and do a photo shoot (optional). 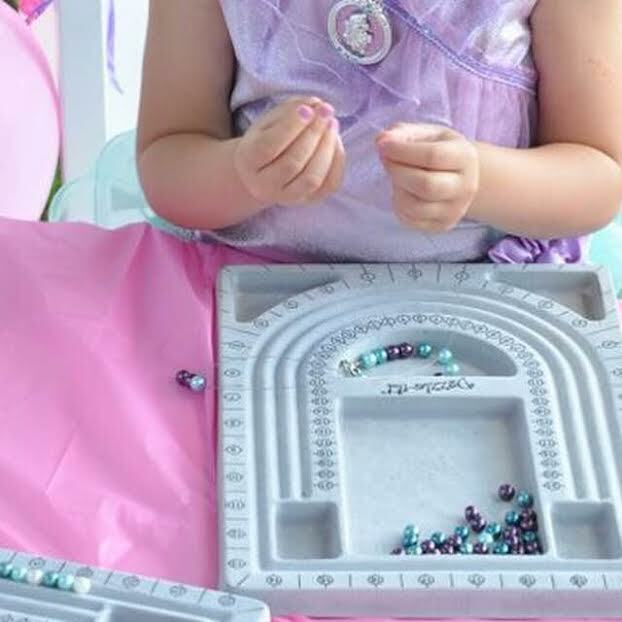 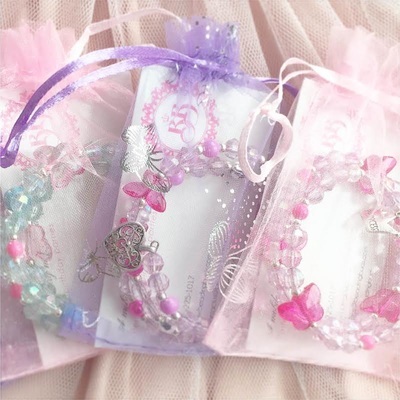 The package includes beading materials for a clasped necklace, instructors for 75 minutes, beading princess tiara, invitations and elegant jewellery storage pouch. $170 for 10 children or less, $16 for each additional child.